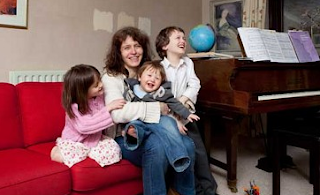 Sarah Briggs, 50 years old, is the mother of three children, Alexander, eight, Isabella, six, and Edward, one year old. She is married to David, 37, an accountant, and lives just outside Carlisle. In the past 10 years, Sarah Briggs, a chartered surveyor, has fallen in love, got married and become a mother of three. What is surprising is it has all happened when she was in her forties. Edward, her youngest, was born when she was 49 years old. Originally posted in April 14, 2012.